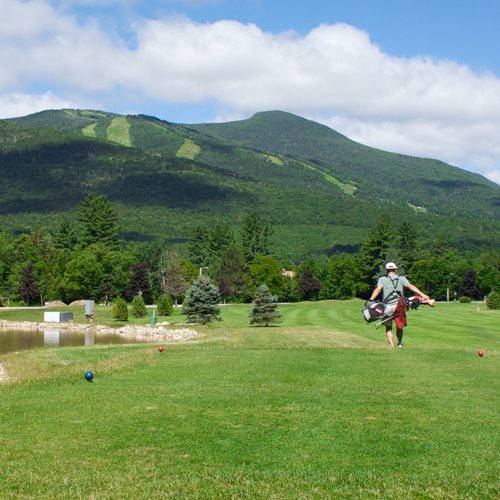 When you book a room or condo with Waterville Valley Resort, you are given our Freedom Pass. Depending on when you book, you are given our Summer or Winter Pass. Think of it as your ticket to freely enjoy any one of our activities (A $100 value per person/per day). Every day you stay with us, you or your whole family can try one or all of our 8 summer activities or 5 winter activities. There’s nothing else like it out there, so come and have fun. 18 clay courts surrounded by the White Mountain National Forest - no wonder the Waterville Valley Tennis Center is listed as a top 25 Tennis Resort in the world. Let Waterville Valley’s Snows Mountain chairlift bring you to breathtaking views of our beautiful Valley floor and surrounding mountains. Your Freedom Pass grants you unlimited access to the Athletic Center’s indoor and outdoor pool, hot tubs, sauna, steam room, weight and cardio rooms and indoor tennis courts. In the heart of Waterville Valley lays Corcoran Pond. Take out your choice of a kayak, canoe, paddle boat or paddle board. With plenty of bikes to choose from, you’re free to explore Waterville Valley’s miles of bike trails that bring you down mountains, through the woods and along our scenic rivers and streams. The Waterville Valley Ice Arena hosts hockey hours and free skate for all abilities. The Waterville Valley Trolley gets you to where you need to be when you stay with us - making it even easier to try out all of the activities included in the Freedom Pass. Newly added discounts to nearby adventures with your Freedom Pass! Join us at the Margret & H.A. Rey Center! Your little monkeys can snuggle up in comfy bean bag chairs while we read all about Curious George and his friends! Saturdays at 11:00am. Pass entitles you to admission to any regularly scheduled Open Gym activity, including indoor rock climbing (Nov.1-Mid May), Tot Open Gym, Open Gym, and Open Basketball (full-size gymnasium with balls, mats, toys and PE equipment for free play or pick-up games) during your stay. Unlimited use of the indoor and outdoor swimming pools, whirlpools, saunas, weight rooms, and cardiovascular room. One hour of complimentary court time at the White Mountain Athletic Club, Monday through Friday (non-holiday), subject to availability. Public ice skating times, subject to availability. Skate rentals extra charge. Open November through mid-March. Hop on our blue Schuss Bus for quick transport to and from the ski area.